Sabita Prasad and Sudha Jayaram are co-founders of Resonance Consulting, an enterprise that has been pioneering gender diversity and inclusion in corporate India since 2008. 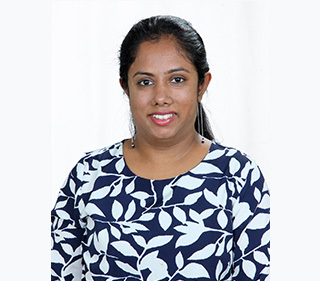 Ms Prasad is a certified neuro-linguistic programming coach, psychotherapist, and corporate trainer, and Ms Jayaram is a corporate trainer with more than a decade's experience in both public and private sectors. Corporate India has been pursuing gender diversity and inclusion (D&I) earnestly for around a decade. The efforts have been both voluntary and government-mandate-driven — such as providing crèches, giving paid maternity leave, and creating a safe workplace for women. However, while process-driven and compliance-driven measures provide a good framework, inclusion is about changing mindsets. It is now time to pause and take stock of the progress we have made. Are D&I initiatives producing the desired effect? What can men and women in their personal capacities do to break conscious and unconscious barriers? Let us give you a couple of examples from our research on this subject. We have changed the names of the people cited, to protect their identity. Deepika, who is 20 years old and works in a business process management (BPM) company, enjoys her work and likes the way her bosses and colleagues treat her. “The only time I’m reminded of being a woman is when I need to take the office transport since it’s not safe for me to travel otherwise,” she says. Her pay and benefits are similar to those of other colleagues, and she does not anticipate any discrimination during promotions. Shubhra, a 31-year-old engineer and management graduate, returned to work after a three-year break to raise her daughter. She joined a company that has an in-house crèche. Shubhra is happy with the accepting ways of her colleagues such as accommodating her request for a change in a meeting schedule if it clashes with her child’s feeding time, so long as the work gets done. This is in contrast to women being afraid to even talk about having a baby, just a decade ago. A stray comment here or there does not matter to her. 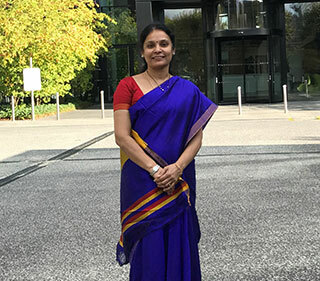 Saanvi, a 40-year-old senior manager in charge of the cyber audits team at an Indian IT company says that over the years, clients have grown to respect her work. Earlier, she had seen hesitation when they learned that she would be in charge of their audits. “A lot of it has also got to do with my own thinking and behavior. I am no more defensive in my approach,” she says. Saanvi feels her younger women colleagues are having it much easier. However, she acknowledges that gender pay gaps exist, and in her case, she blames herself for not negotiating better. 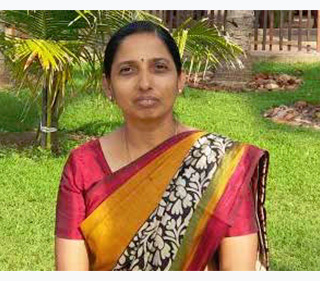 Prema is the country head and CIO of a technology company. At 50, she feels she has achieved success and yet feels that she has to handle some of her senior male colleagues with kid gloves. She also feels the need to be alert always, as a couple of times her colleagues had bypassed her and taken matters to the head office directly. She feels women in mid-to-senior positions have to be strong in order to navigate the murky waters of office politics — which men seem to do easily and naturally. We see a pattern in these responses. Younger women are more at ease and have a better sense of entitlement than older women. In the book Lean In, Facebook COO Sheryl Sandberg says that it is not enough to have women and men in equal numbers at the induction level but also imperative to have women in the corner office and contributing to the growth of the organization. Inspired by the book, women from around the world have formed around 40,000 Lean-in Circles, which are communities of women professionals. Over the years, policies to support expectant and young mothers — such as paid maternity leave, wellness clinics for pregnant women, crèches/day care facilities, and flexible hours/ work-from-home options — have helped women return to work after childbirth. Some companies have gone the extra mile in their D&I initiatives — such as Facebook’s policy of reserved parking for expectant mothers, and a top international development consultancy’s policy of arranging for food for women employees for two weeks post-delivery. 1. The Prevention of Sexual Harassment of Women (Prevention, Prohibition and Redressal) Act, 2013, also known as the POSH Act. Most organizations have put in place mechanisms to protect women from sexual harassment at the workplace. This includes training on gender sensitization and setting up committees to look into complaints of harassment. • Company-provided transportation within the city. Reshma, who is a vice president in a multinational, feels the efforts are paying off. Women are also smarter today, know what they want, and are competent. She says her employers are committed to 50 percent representation of women in the boardroom and are working towards it. However, Mahesh, CIO of a tech firm, believes real change will take place only when personal attitudes change and people are ready to discard their age-old biases. Narendra, head of audits in a corporate firm, says that though 70 percent of those who have cleared the chartered accountancy examination are women, their numbers do not add up across various divisions of an organization. Unconscious bias does continue, where individuals believe they support D&I but it doesn’t show in their actions. In her TED Talk, Kristen Pressner, global head of a multinational firm, and champion of women in leadership, says that she was surprised to find out that she had a bias against women. She realized that she had different reactions towards two competent members in her team who came forward to ask for a pay raise. She reacted positively to the man and not so positively to the woman. Unconscious bias is an auto response signaled by the brain, based on years of conditioning and stereotypical responses, and is not easy to drop. Awareness training on bias focuses on being aware of thoughts, words, actions, and behaviors by both men and women, and embracing new, progressive thinking. What does India need to give more impetus to D&I across organizations? • Education of women across the country at all social levels. Until then, there is a need to monitor the progress of D&I programs in organizations. And we will continue to dream that one day there will not be the need to talk ‘gender’ at the workplace.